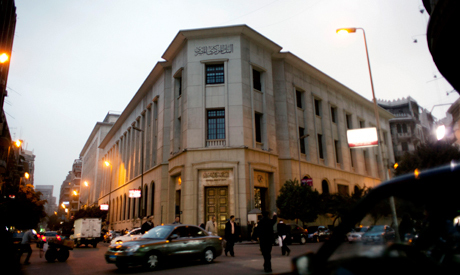 Five economists surveyed by Ahram online had different predictions on whether Egypt's central bank would raise or hold interest rates at next meeting of its Monetary Policy Committee (MPC) on Thursday. Two of the five economists believe the MPC will raise rates to curb the growing inflation. The core consumer price index (CPI) that the Central Bank of Egypt (CBE) uses to measure the level of prices after excluding the volatile cost commodities such fruits and vegetables hit a seven year-high jumping to 12.2 percent in May from 9.5 percent in the previous month. Meanwhile, headline CPI increased to 3.2 percent in May compared to1.5 percent in April, the steepest monthly increase in roughly two years, driving up annual inflation to register 12.9 percent against 10.9 percent the month before. “Food prices have been rising at a rapid pace for several years. This pattern is not a transitory phenomenon and reflects both consumption demand and supply constraints,” Garbis Iradian, a chief economist at the Washington-based Institute of International Finance told Ahram Online in emailed comments. Eman Negm, an economist at Cairo-based Prime Holding, said the CBE will probably raise rates by 50 basis points in an attempt to curb growing core inflation. “Before May’s inflation rates came out, we were expecting the CBE to hold the interest rate unchanged in June and raise it in July, coinciding with the government’s projected second move to phase out another 30 percent of energy subsidy, which means the cost of octane 92 will up to EGP 3.45 per litre from the current EGP2.6,” she said. Egypt’s government plans to slash its total subsidy bill in the new budget by 14 percent in the coming fiscal year, but has refrained from specifying when and by how much fuel prices would rise. Iradian expected the CBE to raise interest rates again at its next meeting due to inflationary pressures and continued foreign currency shortages, which weaken the pound on the currency black market. In April, the bank kept the overnight deposit rate at 10.75 percent and the overnight lending rate at 11.75 percent. Two economists said they estimated a “fifty-fifty” chance for interest rates to be raised by a range of 25-50 basis points or maintained at current levels, expecting inflation to ease in the coming months, as the food price hikes that led to May’s high consumer price index were caused mainly by the arrival of the month of holy Islamic Ramadan in early June, during which food consumption is higher. Hany Farahat, a senior economist at Cairo-based investment bank CI Capital, says prices of goods and services in May were also hit by the second round effect of the March devaluation. May also faced upward pressure on pricing following the weakening of the pound on the black market in April, reaching 11.6 against the dollar, "which is problematic for inflation especially when local suppliers chose to set prices dependent on the black market," Farahat told Ahram Online. Rami Orabi, economist at Cairo-based Mubasher financial services, says it is possible for the central bank not to resort to hiking the rate in June, thanks to a $500 million first tranche of a $2.5 billion grant from Saudi Arabia and reported negotiations over another grant with the United Arab Emirates, which is expected to bring about medium-term stability in term of exchange rates and cause prices to retreat. “If the CBE will have to raise the rates, it may only be 25 basis points to temporarily curb the current living high cost,” Orabi said. Egypt's ministry of finance has claimed that the VAT, which is awaiting parliamentary approval and will be set at a flat rate of 10 percent, will have a one-time impact on prices of all goods excluding food, raising them by between 0.5 and 2.5 percent. Omar El-Shenety, a managing director at Multiples group, said he expects the MPC to keep rates on hold as the public debt is already vast, and the government keeps borrowing from banks to finance its budget deficit. Egypt's minister of finance expects the budget deficit to reach 11 to 11.5 percent of GDP, way above the initial target of 8.9 percent. The current domestic debt reached EGP2.5 trillion in March, according to the latest data from the central bank. In the case of Egypt, raising interest rate would not curb inflation; it’s like taking a cough medicine to cure a broken leg; the tranquilizer in the cough medicine may reduce the pain but it won’t fix the leg. Egypt rising inflation is triggered by weak currency, trade deficits, and dwindling export. How would the rise of interest rate fix that? Raising rate might reduce spending initially but it will not reverse the weak pound slide, growing deficits, or decline of export and tourism. The Central bank ran out of options; strategic economic policies are now called for!